It was recently announced that Treyarch's version of the series has reached over 11 million units sold. 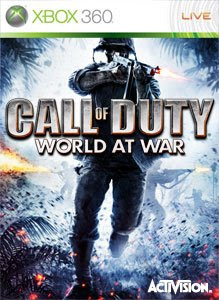 From "SANTA MONICA, Calif., June 11 /PRNewswire-FirstCall/ -- Call of Duty(R): World at War continues to unleash the fury, as Activision Publishing, Inc. (Nasdaq: ATVI) and Treyarch announced today that Call of Duty(R): World at War Map Pack 2 is now available for download on Xbox 360(TM) video game and entertainment system from Microsoft and the PLAYSTATION(R)3 computer entertainment system. The new map pack delivers four new maps - including a brand new Zombie map - for the blockbuster title that has now surpassed 11 million units sold across all platforms, according to The NPD Group, Charttrack and Gfk." "We are thrilled with the ongoing support from Call of Duty: World at War's online community," said Mark Lamia, Studio Head of Treyarch. "To the millions of fans enlisted for battle, we can't wait for you to play what we have been working on with our new competitive multiplayer maps, and our latest co-op Zombie map, that reveals some exciting surprises!" It's cool that they are still adding maps and new zombie levels, but Will they still support World At War after Modern Warfare 2 releases? If not, Treyarch, make a full Zombie Call of Duty!